I first saw the Bobbi Brown BBU palette through a number of beauty/makeup gurus using it on YouTube for makeup tutorials. I found the palette on www.bobbi brown.co.uk in the foundation section of the website. It was £185 (which is a lot of money) but was well worth it. I received samples with my order too. This was my first purchase from Bobbi Brown, so I was eager to try it out and see how good the product was. I have not gone on a job without it! Its the holy grail for makeup artists. Everything in one palette! It's a go-to product. You are able to condense your kit down by taking the palette instead of lots of foundations, concealers and correctors. It's easy to use, easily cleaned (plastic) and has a variety of shades throughout. It even has a little section on the right hand side of the palette which can be used to mix different shades together. The panel in the middle has the names of the corresponding shades that are in the palette opposite which is good to know if you have to re-stock the shade. It has this on both sides! It's also great for separating the makeup from one another, so it doesn't mix together. This can be wiped clean too. On one side of the palette, it has Bobbi Browns range of foundation sticks. This is a high coverage foundation but can be sheered out by adding moisturiser to it or used sparingly with the right brush. I would suggest using a good moisturiser underneath (or primer) to nourish the skin before application. If you want a full coverage, I would suggest using a foundation brush (MAC 190 foundation flat brush). For a medium coverage, I use a MAC 130 Duo Brush for this; as it buffs the foundation into the skin, making it look flawless and last longer. For a lighter coverage, I would use a sponge that has been dampened down (works well with a liquid fixer such as MAC Fix+) - dabbing the product onto the skin where needed and blending it outwards. You could even use shades that are darker than your skin tone to contour the face. 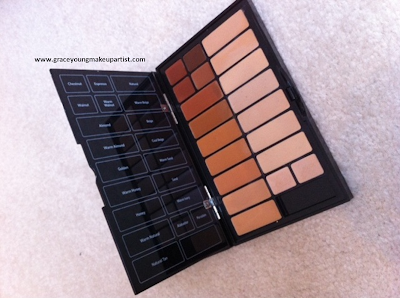 On the other side of the palette, it has Bobbi Browns range of Creamy Concealers and Correctors. The Creamy Concealers glide onto the skin, great for pin point concealing and good to use sheerly under the eye. I would use either MAC's 195 concealer brush, MAC's 217 blending brush or MAC's 242 shader brush. This way, you can press the product onto the skin and using a fluffy brush, blend away all the edges making it seamless. The Correctors are great for underneath the eye or in any areas of the face that you may have discolouration or pigmentation. It counteracts the uneven skin tone, balancing out the face. Its great to use under a foundation for a flawless finish. You can be matched at a Bobbi Brown counter. This can be applied in the same method as the Creamy concealer (with the same brushes). Another good brush to blend the Corrector into the skin is MAC's 224 tapered blending brush (used lightly over the concentrated parts that need correcting). I set all these bases with a transparent powder (normally MAC transparent powder). The shades of foundations, concealers and correctors are well pigmented (opaque) and great quality, so I think a 'less is more' approach will work well (as it's buildable). So I hope this helped anyone wanting to buy the Bobbi Brown BBU palette but was unsure whether to or not! It's fantastic and I'm glad I've bought it. I've had it for about just over half a year now and still have plenty left in the palette! i've searched their US and UK sites tirelessly looking for this palette but no such luck. If they are creating some sort of artificial scarcity they ought to be careful before someone beats them to satisfying their customers cause there's a lot of demand for it. 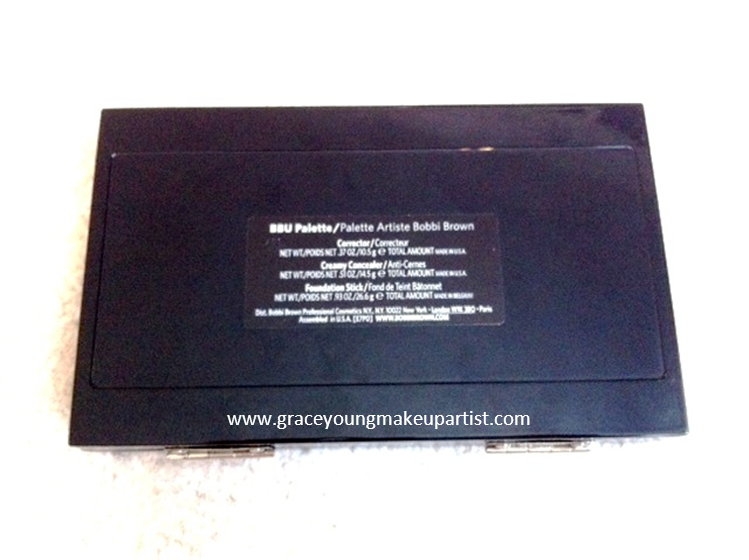 Do you still have those bb palette?